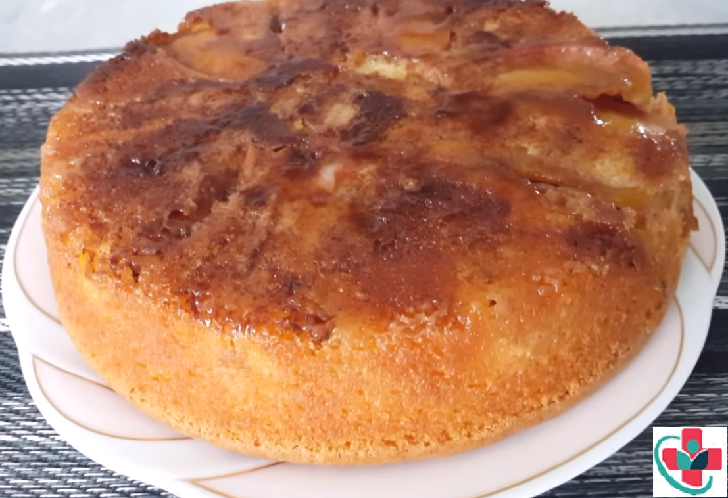 This apple-flavored cake is that kind of cake that after is done baking is entirely served in a matter of minutes. Everybody loves it, probably it's the best apple cake I've ever made so far. The only "problem" is that you can hardly stop eating. Not only it tastes delicious but looks so good that no other decoration is needed and this makes it perfect for any occasion or family gatherings. Preheat oven to 350°F (180°C). Butter a 10-inch (26 cm) round cake pan. Peel apples and sprinkle lemon juice over them. Cut them into wedges, remove the core and slice. Melt the butter in a saucepan. Add 5 tbsp of sugar and cook until sugar dissolves and mixture turns golden brown. Pour the mixture into the prepared pan and arrange the apple slices. Sprinkle 2 tbsp of sugar and add 1 tbsp of butter cut in small pieces over the apples. Cook in the oven until you prepare the batter for the cake. Remove the cake from the oven and let it stand for about 5 minutes. Then run a knife around the edges of the cake to loosen it from the sides of the pan and invert the cake onto a cake plate.